Free to play on mobile is changing quickly every day. The audience is maturing. Their tastes are changing, and now I feel is just the calm before the storm. The stasis that exists on the top of the AppStore can only hold for so long, the mobile audience’s tastes will change, it’s now up to designers to find out how. As our audience’s tastes change, we as designers have to adapt our designs. We have to find new ways of making old systems feel new again. Today I’d like to talk about pacing mechanics, and how we can adjust our current pacing mechanics to make them feel better for our maturing audience. Pacing mechanics usually take the form of Timers or Energy systems, and are always ingrained deeply into the core loop of any Free to Play game. Pacing is what prevents players from burning out on content or mechanics. Pacing is what drives habits. 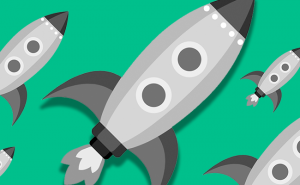 Getting pacing right is the key to driving strong long term retention. And long term retention is the key metric for a successful free to play game. But making these pacing mechanics not feel artificial is difficult. So I’ve put together 3 tips that I like to use when “Re-dressing” pacing mechanics. These 3 pacing tactics can help you rethink how to build a pacing structure so that it feels new, different and more natural to the player. Sometimes in a game design, you need to add longer timers which prevent players from engaging too much with a feature during a single day. Many free to play games aim for longer timers for this: 4 hours, 8 hours or even 12 hours. 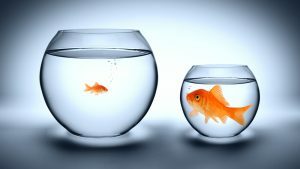 In my experience this can feel very restricting. Instead, ask yourself, can I pace this using a daily, weekly or monthly cycle instead? So instead of a feature which is available “once per 8 hours”, opting for a pacing feature that is “once per day”. These will allow the player to be more flexible about how they structure the use of the feature, and it feels more natural because they are using their ingrained day/night cycle. It’s easier for a player to commit to coming back to the game once per day than it is to come back in exactly 8 hours. As a result you can pace the players stronger (once per day is longer than once every 8 hours) while it actually feeling better for the player. Hearthstone (which we’ve covered many times before) is a great example of this. Their mission system employs daily pacing. Instead of using timers, they pace the missions so that there is 1 new mission per day, up to a maximum of 3. So coming back at any time the next day, you know you will get an additional mission. This is the easiest source of free coins in the game, so it feels rewarding and is tied into the core loop of purchasing card packs. But the key here is the daily pacing. There’s no timers telling the player that in exactly x hours they need to return to the game, instead they have the flexibility of natural day cycles. Have I done my mission of the day? Days aren’t the only cycle that you can use. Weeks and Months work great at pacing players for very long timers. Hearthstone paces players by month in seasonal competitions. Because each month has a unique card back, this makes it an easy choice for a player to come back to the game, especially near the end of the month, just to get their card back. Another clever way to add pacing is just to use visual animations rather than timers. 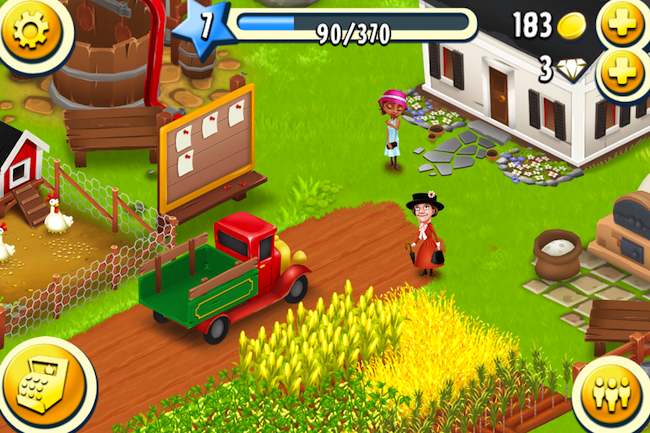 For example, Hay Day had a clever mechanic in which the trader characters delay taking new deals until they’ve left and returned to your farm. After completing a deal, the character would slowly walk/drive away happy, then return soon in the future ready for another trade. This made the pacing make sense, and didn’t need a timer in the player’s face. Want the next deal? Wait until the trader walks back! Games with a large world map which you have to send armies around commonly employ a pacing mechanic where the army must take x hours before they reach the location. Showing the scale of the world relative to the unit and actually animating the units along the map helps players buy in to the fact that it takes time for units to reach locations. Is there any shorter timers within your game that can be visualized by an animation instead of by a timer? Is there any long timer which you can better visualize to the player through animations? The best strategy for making pacing feel better is to get more creative with your economies & systems. Instead of demanding the player to wait for hours for a building to construct, increase the difficulty & cost of building it to begin with. Fallout Shelter is the best recent example of a game focused on adjusting pacing to feel different and stand out. They chose to do this by shifting the economy. Instead of the pacing of the game through timers for building construction, they’ve focused their pacing only through the initial cost of the building. As a result, Fallout Shelter feels different from most simulation games. It feels instantly gratifying and very rewarding for collecting the coins. Due to this change, Fallout must increase the cost rapidly to compensate for the lost pacing with building construction and find other timers in the game for players to manage & drive sessions (in this case Wasteland Missions). In the end, this works out for Fallout Shelter, and feels like a very different simulation game from most free to play games. But increasing the cost before the purchase can take many forms. Cost can come in the form of just collecting currency (ex. bottle caps in Fallout Shelter), or it can be a combination of luck and effort as seen in many gatcha games including Contest of Champions. 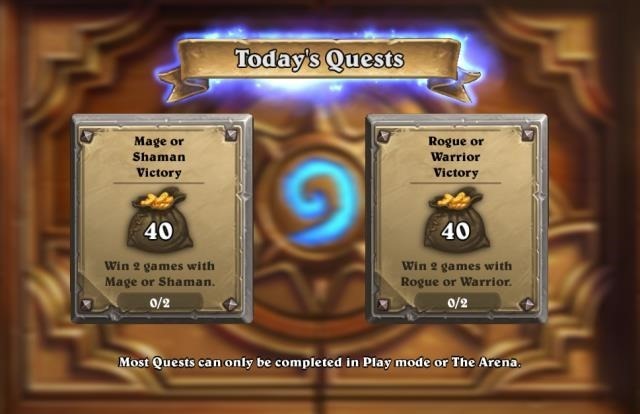 To pace getting the getting the best heroes, players must grind through collecting hundreds of crystals. Instead of guaranteeing the player the reward at the end of a long game loop, try allowing them to engage in a shorter loop, but randomize the progress towards the goal. As psychology teaches us, this type of mechanic will pull players back longer than a strict cost:reward trade off. There are many more ways to get creative with pacing. But I would always rethink just adding a timer or just adding a high cost to an action if there are ways to make pacing more engaging to the player. 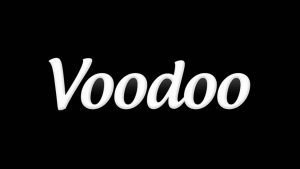 If all the above fail, then the bare minimum for having a timer is to make sure that it makes sense with the theme. Why do all F2P games have building construction? because building timers is one of the few places where timers make sense. This is mainly why so many games default to have a city building component, even if it’s a bit of a stretch for the concept. 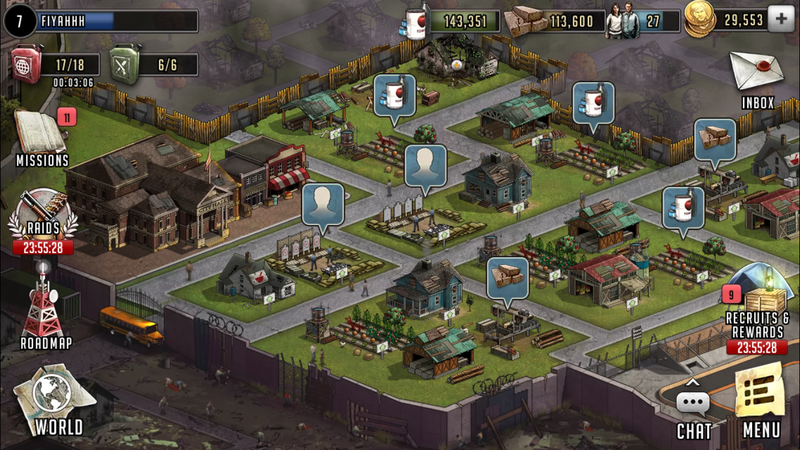 Take Walking Dead: Road to Survival, the F2P game from Scopely recently released. They clearly added the city building component for the ability to pace using construction timers. If they hadn’t had this component, they would have really struggled to find places that make sense to add long timers. Agent Alice is a good example of a game that struggled with timer design. Agent Alice is a recent Hidden Object game from Wooga. Agent Alice made a big risk by removing the city building component from Pearl’s Peril, it’s spiritual predecessor. Due to this design decision, the game struggled to find effective timer design. Where Pearl’s Peril would use building timers to pace players, instead Agent Alice had to use more arbitrary timers. The timers became different actions that Agent Alice had to take to pace the story. 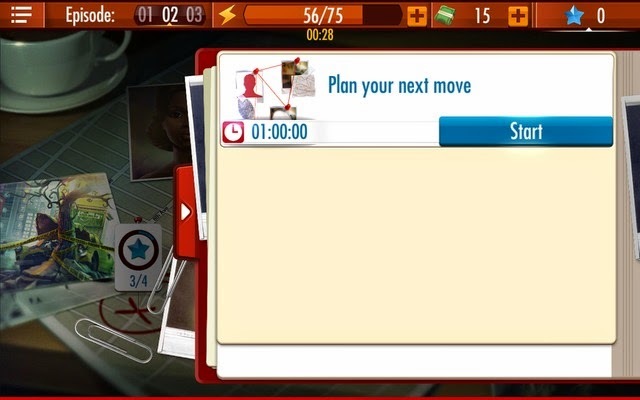 In the example screenshot below, Alice must plan her next move which takes a long timer. Agent Alice’s timers many times felt unexpected. This timer is not expected by the player. The goal of timers has to be to fit into the theme of the game. Each use of a timer leave the player feeling: “Right — that makes sense that it takes that long”. 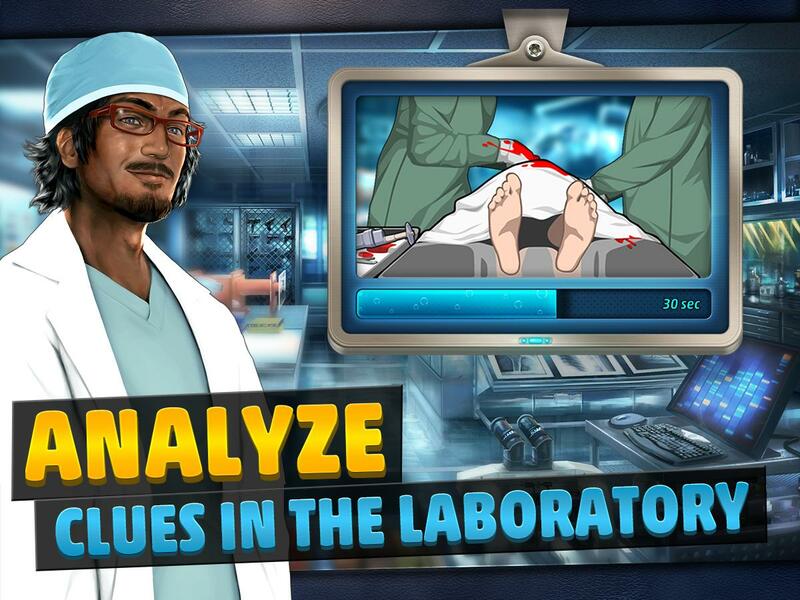 In another hidden object example, Criminal Case, a game from Pretty Simple, uses a timer when the player has to send anything “to the lab”. This makes sense. In all the crime shows I’ve watched, this was expected by the detectives and the audience. Sending evidence to the lab makes sense why it takes time. Keep this in mind when designing your pacing structures. Timers have to make sense in the theme, they have to be expected by the player. Swapping Timers for Natural Pacing : Once per day, Once per week, Once per month. Use the natural cycles we’ve all been accustomed to. And if none of the above is possible, do whatever you can to ensure the pacing actually makes logical sense in the game loop. Building takes time, sending heroes on a journey takes time. These can have timers. Don’t add timers to actions that don’t make narrative sense why they would take time. Using these tips you can adjust your design to feel less restrictive, more natural, and ultimately serve this maturing audience.